Organisers of the ‘Rugby Festival of Culture’ are calling for more groups, organisations, businesses and schools to get involved with the 2019 event. The festival, already one of Rugby’s biggest and momost popular events has continued to grow since its launch in 2010 and will take place in Rugby town centre from Sunday 23 June until Sunday 14 July. The three-week cultural festival, supported by Rugby First and Rugby Borough Council, provides a great platform to showcase local talent, raise your profile, recruit new members and be part of something truly special on your doorstep - why not get involved. Previous festivals have been packed full of a rich and diverse array of events that have included theatre, street entertainment, food and drink, music, art exhibitions, live bands, dance, classical performances, workshops, story-telling, poetry, walks, comedy, film and much more. “The Festival of Culture has become one of the highlights of The Rugby Town’s annual events programme, bringing in visitors, boosting the town centre economy and providing a platform for a wide range of local artistic talent. A FREE brochure highlighting all the festival events will be available at the end of May from Rugby Visitor Centre, local businesses and online. It’s your essential guide to planning your perfect festival so make sure you get hold of a copy! If you would like to get involved with the 2019 festival please call 01788 890789 or visit www.rugbytowncentre.co.uk/festivalofculture You can also follow us on Facebook or Twitter. The most recognisable and friendly face of Rugby First is the town rangers in their red uniform, but we are also the driving force behind the St. Georges Day celebrations, Rugby Bikefest, the Rugby Festival of Culture, the Rugby Food and Drink Festival, the Christmas Light Switch on and other town centre events as well as operating the town’s CCTV. Working closely with Rugby Town Centre businesses, we keep them informed and updated, fight business crime, and ensure the town centre is clean, safe, friendly, and welcoming for all. More information can be found at www.rugbyfirst.org or www.rugbytowncentre.co.uk. You can also follow us on Facebook @RugbyTownCentre, like us @rugbytowntweets or visit our Youtube Channel RugbyTownCentre. UC Ltd are a midlands-based company who deliver effective PR, strategic marketing, anything, and everything to do with events and creative graphic design solutions across traditional and digital formats. For further information please visit www.ucltd.co.uk or call 01788 890 789. 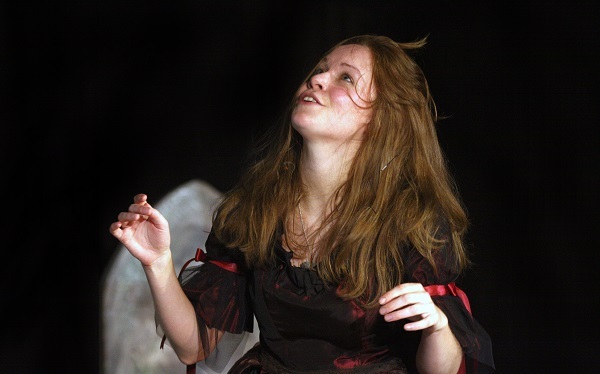 Image: Outdoor theatre performance of Wuthering Heights to be performed as part of the Rugby Festival of Culture.